Searching For IOS Game Development Company In Dubai? Get Affordable Services Today! Apple has created a revolution in the gaming world by offering an iOS platform for building games for iPad and iPhones. Games are the best way of entertainment these days. Due to the provision of earning money and return of cash, 33% of app downloads on iPhones are games and 44% on iPad.This shows the growth of revenues on iOS games along with the devices which are getting better each day. If you are unable to find a right service provider in Dubai within your budget, then you can contact our professionals. 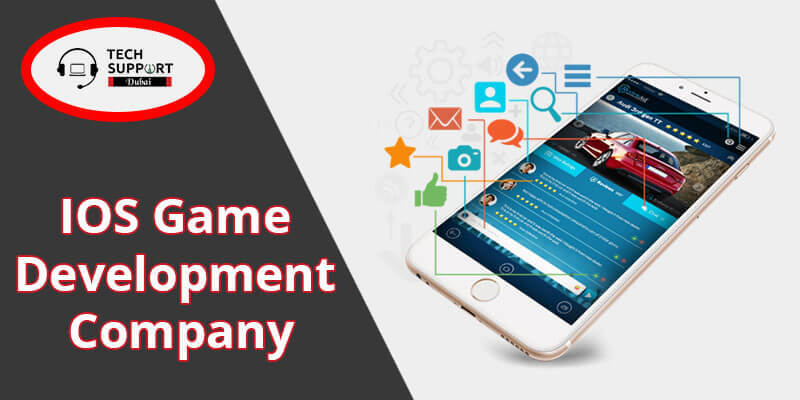 Our team at Tech Support Dubai consists of well-trained experts who will provide you with the best IOS Game Development Services at affordable prices. iOS game development requires a high accuracy as well as proficiency. Here have a glance at the advantages of developing an iOS game. Money Making Tool: It is a great way to make money. You can develop different kinds of games, and if they get famous, you can earn money through advertisements and pop-ups. Enjoy a Great Profit: Here you can gain a great profit as you can earn much more money through ads and pop-ups in comparison to the amount you had invested in developing the game. Enhance Brand Recognition: Since it is an iOS platform, you can upgrade the visibility of your brand. Once your brand gets popular, there will be a huge demand for you to develop more gaming apps. Great Success: Once you start creating addictive, error-free games, you will meet a huge demand for different game developments. This will show you a way towards success in life. But you should always choose a reliable service provider for developing games on iOS platform. Our tech specialists at Tech Support Dubai consist of well-trained experts who are always ready to help you when it comes to game development on iOS platform. They work round the clock to complete the project within your time and budget. Our professionals give best in class services, some of which are mentioned below. We develop games for education. Our games are used for marketing too. Our experts offer the best services when it comes to iOS game development in Dubai. You can avail our services at your doorstep for 24*7 hours via on-site requests. We also provide free consultation, pocket-friendly price and 24*7 customer support. Searching for the Best iOS Game Development Company In Dubai? Reach the experts at Tech Support Dubai by calling us on our customer support number: 042053349 Our customer support executives are available round the clock to assist you with iOS game development services. You can also chat with our professionals on live chat support portals. You can even send your service request on our official email id. Our experts will contact you soon to provide you with game developments on iOS platforms. We also provide Business automation system development service in Dubai.